Lakes of Country Place is a Pearland neighborhood just of Highway 288 at McHard Rd. Lakes of Country Place has a gated entrance with guards and is located just 10 miles south of the the Texas Medical Center and is within a half-hour drive of Hobby Airport, downtown Houston, Reliant Stadium (home of the Texans), Minute Maid Park (home of the Astros), The Toyota Center (home of the Rockets and Aeros), and the Clear Lake / NASA area. If you own a home in Lakes of Country Place and are thinking of selling it, The Silver Star Group will provide you with tips about getting your home ready to sell, marketing it effectively, and pricing it right. Click here to learn more about the current value of your home. 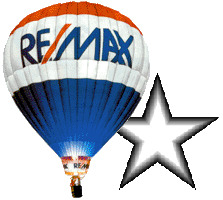 The Silver Star Group is your expert when it comes to homes for sale or lease in Lakes of Country Place. Call us today so we can get your search started. We’ve already done some of the work for you by listing homes for sale or lease in Lakes of Country Place at the bottom of this page.